These cute Owls and have flown off my stall at events! These cute Owls and have flown off my stall at events – they look lovely hanging in a window or against the wall. 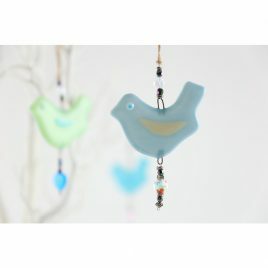 Three colours to choose from, Royal Blue, Turquoise and Emerald. 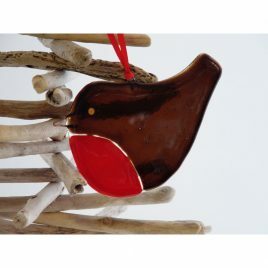 Christmas has officially started once you've added one or more or Linda's festive robins to your decorations. 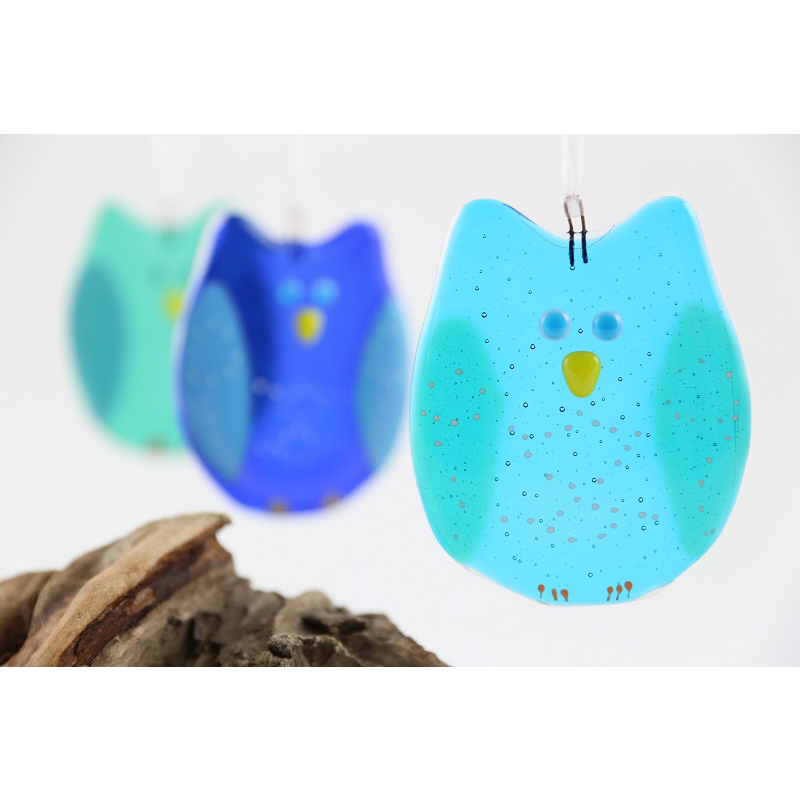 Each one is handmade and carefully shaped from opaque glass. 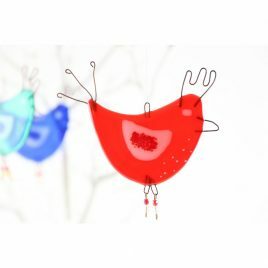 Each one is made of either transparent or opaque glass and has copper wire fused into the glass.